Ten years is a long time to have a dream in the making. 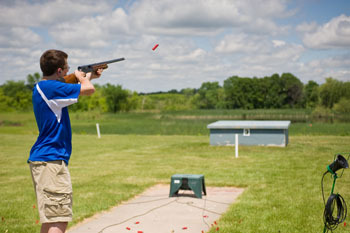 St. Croix Central High School agriculture teacher and FFA advisor Bill Emery has wanted to start a sporting clay team for 10 years. That goal is about to become a reality. Fourteen students have signed up for the sporting clay league and there are a couple more waiting in the wings, Emery said. 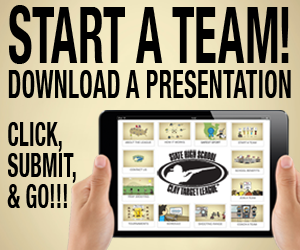 Last Thursday, March 6, Emery hosted a meeting for students interested in signing up for the team. Registration is open until March 15. 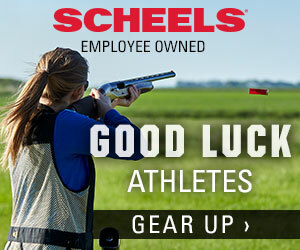 Emery and another teacher headed up a trap shooting team when he taught at Auburndale in central Wisconsin. Since he started at SCC 10 years ago, he has wanted to start a team here. 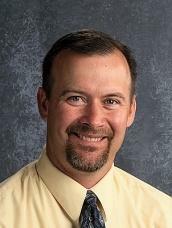 Bill Emery – St. Croix Central High School agriculture teacher and FFA advisor. Emery describes himself as an outdoor adventurer who takes a lot of trips, some with his FFA kids. He has taken his FFA students to Glacier National Park and is planning a trip to the Grand Canyon next year. The WSHSCTL is an offshoot of the USA High School Clay Target League, which is a nonprofit 501(c)(3) organization dedicated to providing shooting sports as an extracurricular coed activity to students in grades six through 12 who have their Hunter Education Certification. SCC’s league will consist of just high school students for now, Emery said. The Wisconsin State Director for the league is Cory Brathol, an SCC alumni who teaches health and physical education in the Ellsworth Community School District. Once a week, the team will shoot at a local shooting range club. Emery hopes to get permission from the River Falls Sportsmen’s Club on Rifle Range Road near County Road M. They will shoot 50 rounds each and their scores will be recorded online. • Take proper shooting position. • Clearly call “pull” or some other command for the target. • Shoot at the target. • Scorekeeper does not comment when a target is hit. • Scorekeeper will say “lost” out loud when a target is missed. • Wait for next turn. Emery said the scores will be recorded online. The SCC team will compete against other teams in its online conference, which will not be determined by geography, but by the number of people per team. The team will compete against teams similar in size. The season will go from the end of March until the end of May. Conference awards will be given, as well as team championships. Emery said a state tournament will be held in late May or early June somewhere in central Wisconsin. Emery, who is the administrator of the SCC league, said three to four parent volunteers will assist the team each week at the range, including a parent who is a retired professor from UW-Stout. Emery said the team is co-ed and will use either 12-gauge or 20-gauge shotguns they bring from home. Absolutely no guns will be brought to the school. All shooting will take place at the range. SCC principal Glenn Webb has been supportive of the league, Emery said, as well as the parents. For more information or to register, contact Emery at 715-796-5383 ext. 128 or visit wiclaytarget.com. By Sarah Young on Mar 14, 2014 at 10:27 a.m.